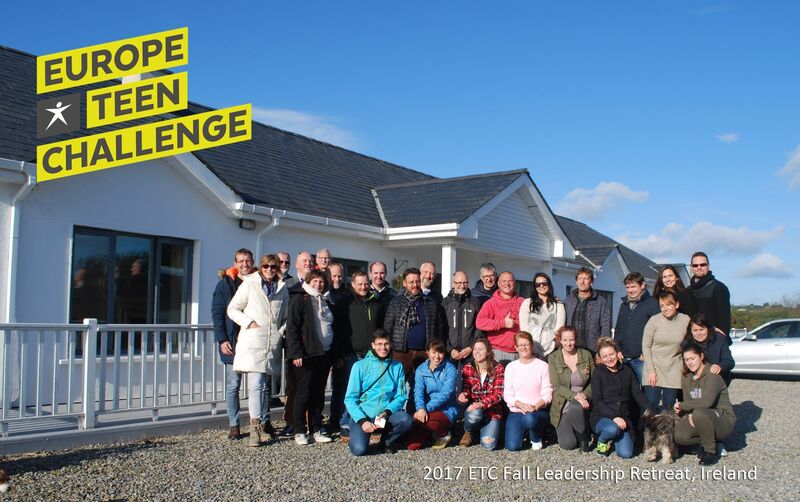 November 2-5, representatives of 12 countries gathered for the annual Fall Leadership Retreat, in Ireland. Four amazing days of spiritual emphasis, teaching, meeting, sharing, praying, fellowship, and visiting the Teen Challenge centers in Ireland. On Saturday the TC Ireland hosts took the group on a field trip to visit the Teen Challenge centers. First was a visit to the new facility of the women’s home, beautifully located on the coast. Next was a visit to the men’s center. During the last couple of years, buildings have been added to the facility, making room for great initiatives, such as a Dental Clinic that offers free dental care for the students. Last but not least, was a visit to the re-entry location, located in a small town, with a view of the sea. TC Ireland recently obtained ownership of this (large) building, which now allows for renovations, to give a new boost to this important part of the ministry! Country reports are part of the regular program at TC gatherings. Leaders share about their ministry, for others to get informed, learn and know what to pray for. It’s about sharing each other’s burdens, offering help when possible, receiving help when needed. Representatives of Teen Challenge in Albania shared about the needs in their 18 student program, such as lack of heating and building materials for the renovations. 11,000 dollars was pledged by the attendees to bless their brothers and sisters in Albania. Sightseeing is a great way to have time to fellowship. A field trip to Glendalough in the Wicklow Mountians National Park was included to enjoy the beautiful nature and culture of Ireland. Also between meetings, during lunch or dinner, everyone gathered to have a good time of fellowship. It’s always a blessing to spend time together as the Europe Teen Challenge family; supporting each other in good times and in bad times. And how refreshing it can be to share a good laugh! Lord willing, next year’s Fall Leadership Retreat will take place in Spain. But first, we’ll get together for the 2018 Annual Conference near Krakow, Poland. Everyone is invited! >> Click here to see photos of the 2017 Fall Leadership Retreat.